USA Basketball may be in trouble at the Rio Olympics this summer. Several big-name stars like Stephen Curry, Blake Griffin, Chris Paul, John Wall, and LaMarcus Aldridge have already dropped out of Rio 2016 due to injuries. Others, like LeBron James, will decide on their involvement after the NBA Finals conclude, while some players are reportedly wary of the risks of contracting Zika while in Brazil. 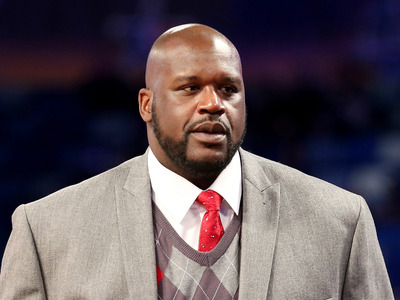 However, Shaquille O’Neal doesn’t doesn’t think there’s anything to worry about. In a sit-down interview with Business Insider before speaking at American Express’ “Teamed Up” event in New York City Monday night, O’Neal said he would attend the Olympics if he were invited as a player. “Of course, yeah,” O’Neal said enthusiastically. While O’Neal didn’t address the concerns over Zika directly, he did say that he doesn’t think players need to worry for their safety in Rio. “Sports and music are the only two things that settle people down, for some reason,” said O’Neal. “I’ve been in some hostile countries, and I haven’t had a problem at all. By myself. Uzbekistan, Russia, I’m going to Cuba, been to China, been to Korea, been to a lot of places by myself. As Wall Street Journal’s Will Connor reported, street crime is up and Brazil’s economy is shaky. Some experts are concerned with Rio’s infrastructure and the safety of tourists and athletes staying in previously high-crime areas. Regardless, O’Neal believes that the Olympics are too big of an opportunity to pass up on for athletes who are currently on the fence. For some athletes, whether they’re dealing with injuries or fear of Zika, that may not matter. But for others, who are generally weighing the risk, they know where Shaq stands.